Making readers feel special develops loyalty and gives them a reason to stick around by delivering value. This can be done by sharing news with them first, sharing inside information about what you write, and giving them gifts of value. Those gifts can be a supplement to your book, tip sheets, and promotional codes for discounts on your books. It doesn’t need to cost you money. Engaging goes a little further when you ask a question or take a survey. I did this with a vote for the favorite new headshot to use for my business cards. And so many followers responded! It’s great to get feedback and hear reasons why readers like something or what they would prefer. 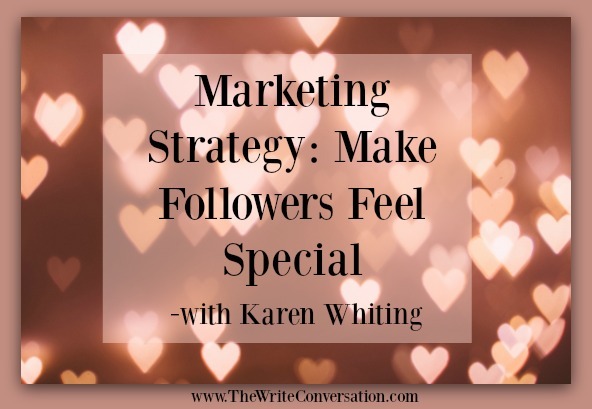 Engagement and making readers feel special can be done in almost any marketing activity. It starts with considering what you can give your followers in each marketing stream. Give readers insights into your life and writing in your letters to them that is only shared there. That makes them feel as they know you better than other people know you. It also makes them feel that you care and want to let them inside your heart a little more. Be informative but keep it brief. People don’t want to read a saga but enjoy fun and engaging news. Share news from readers by posting comments received and quotes from fan mail and responses to past newsletters. Add a note from someone who won a book from you. Invite them to an inner circle, like a closed FB group. Welcome visitors and share videos and news on your site. Give them something special for signing up for your newsletter, such as recipes, tips, or insights into your book. You can add quick links to buy special booklets and tip sheets or get your latest free download and link to your latest interview or video. Some people create funnel websites, but these are more engaging if you avoid shouting at the reader and maintain a friendly voice with extra tips at each stop in the funnel. Make the tip and advice more dominant than the clicks to buy more. 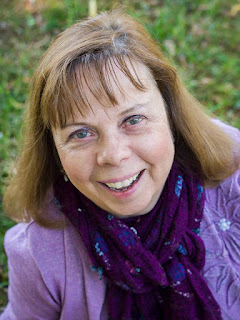 Hard sale pitches can really turn readers off I know as there are some funnel websites I will never revisit, did not purchase anything, and also never read more from that author because of the hard sales drive. Add testimonials from readers and invite others to send in their testimony or photos. With photos and live videos you can engage followers and talk directly to them. This is a place to announce news and let them see a little of your daily life. Follow you readers back and comment and converse with them. When people post a comment and it’s ignored, they are less likely to post another comment to you. Comment back when someone comments on your posts and live videos. Make it more special by popping onto their page and commenting there. Events bring you in contact with people in a personal way. Thank them for coming with special handouts and promos for your books. Create handouts and signage that reflect the theme and location of the event. It’s a way to show you care about them and wanted to be part of their planning and theme. Basically, spend time praying for your followers and take extra steps to connect. If you mail a book, be sure to sign it and add a personal note. If they ask you a question, pause to reflect and think about what they really want from you, and then respond. Ask yourself how you can bless your readers.